I certainly appreciate your interest and kindness, and I know why my friend thinks so highly of you now. Thank you for the least time consuming, easiest application and fulfillment mortgage procedure I have ever experienced. Thank you for your prompt attention and cordial response to every piece of minutiae I managed to come up with. In a time when there are so many obvious thieves, highbinders and idiots loose in the American business world it is a pleasure to take note of a firm that is peopled by those who are as competent and pleasant to deal with as you are. -	Gilbert C.
I needed the Reverse Mortgage but at the same time I was very scared to do the transaction. You were always very calm, pleasant, understanding and helpful and never pushy. Thank you. -	Hana B. Thank you for your courtesy and professionalism in assisting me. Read Reviews from Maggie’s Satisfied Clients! These workshops are for you! Understand reverse mortgages in a casual classroom setting. It takes money to maintain a long, comfortable and financially secure retirement. But you don't need to count your penny's and sacrifice the lifestyle you want. The solution is right under your roof! I hope you attend one of my reverse mortgage workshops, and invite your friends to attend. You will learn how the program works, understand the misconceptions and go away with facts about reverse mortgages. With a good understanding, you can make good decisions. A Reverse Mortgage loan for seniors is a home equity loan that does not require monthly mortgage payments. Only one payment due when the homeowner(s) no longer occupy the home. HECM Reverse Mortgages are backed by the U.S Government. What are the Qualifications to obtain a Reverse Mortgage? You are at least 62 years of age or older. Your home is or is to be occupied as your primary residence. You have substantial equity in your home. What are the Benefits of Reverse Mortgages? Pay off a current mortgage – No More Payments!!! How much money is available from the reverse mortgage? The amount of money you can receive from a reverse mortgage loan is determined by your home value, the age of the youngest homeowner and the current interest rate. We will assist you in evaluating your options and calculate the maximum amount of money that will be available to you. How can funds be received through the reverse mortgage? Tenure Option: Receive equal monthly payments for as long as you occupy your home as your principal residence. Line of Credit: Draw cash from your reverse mortgage at any time up to the available limit. Interest is only charged after money is accessed. The available line of credit increases at the same interest rate that’s charged on your loan balance. Lump Sum Cash Advance: You can receive all or part of your money in a lump sum upon the closing of your reverse mortgage. Modified Tenure: Set aside a portion of the loan proceeds as a line of credit, in addition to monthly payments. Term: Receive equal monthly payments for a fixed period of time that you select, for example 5 or 10 years. The payment plan can be changed for a small fee. What are the interest rate options for reverse mortgages? The interest options on a reverse mortgage include adjustable and fixed rates. The adjustable rates are tied to the LIBOR index plus a margin. Interest is charged on your loan balance, which consists of the cash you have received, the initial closing costs and mortgage insurance. If you select a line of credit, interest is not charged until the money is drawn from the account. The monthly adjusting rate caps at 10 points above the start rate. What are the closing costs at the time the Reverse Mortgage is Originated? HUD charges a Mortgage Insurance Premium equal to 2.5% of the maximum claim amount if mandatory obligations + 10% cash is greater than 60% of the principal limit and .5% if draw is below 60% and ongoing mortgage insurance equity to 1.25% of the loan balance. The outside closing costs and origination fee varies depending on the home vlue, location & program selected. Outside closing costs include appraisal, title insurance, escrow, recording fees and others. We will be happy to provide you with an estimate of the detailed costs. When does the Reverse Mortgage loan balance need to be repaid? The reverse mortgage becomes due and payable when you or your spouse permanently leave the home – move, sell or pass away. Reverse mortgages are typically repaid from the proceeds of the sale of the home, with any remaining equity staying with the homeowner or their heirs. If a spouse passes away, the surviving borrowing spouse continues to receive the full benefits of the reverse mortgage, with no repayment until they decide to permanently leave the home. Do I still own my home when I get a reverse mortgage? Yes, you retain full ownership of your home when you obtain a reverse mortgage. 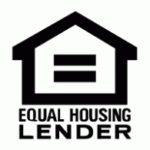 As with any mortgage, the lender has a lien against your property. Since you make no monthly payments the loan balance increases over time. When the loan is repaid the borrower or their heirs pay off the loan balance, which consists of the financed closing costs, the cash advanced from the reverse mortgage and the interest that has accrued. You benefit from the appreciation and the remaining equity stays with you or your heirs. What is reverse mortgage counseling and how do I get a certificate? independent reverse mortgage counselor who provides a certificate of counseling that must be presented to the originator. This counseling session will help you determine whether a reverse mortgage is right for you. The counseling session can be done either in person or on the telephone, and family or trusted friends are encouraged to participate. Florida, Virginia, Maryland, New Jersey, New York, Michigan, Illinois and all US States! DISCLAIMER: The information contained on this website are the views of Margaret Ann O'Connell, and do not necessarily reflect the views of The Federal Savings Bank. The information contained in this website is for general information purposes only. It is believed to be reliable, but The Federal Savings Bank does not warrant its completeness, timeliness or accuracy. The information on this website is not intended as an offer or solicitation for any mortgage product or any financial instrument. The information and materials contained in this website - and the terms and conditions of the access to and use of such information and materials - are subject to change without notice. Products and services described, as well as, associated fees, charges and interest rates may differ among geographic locations, offices and as a result of individual conditions. Not all products and services are offered at all locations. In no event will The Federal Savings Bank be liable for any loss or damage including without limitation, indirect or consequential loss or damage, or any loss or damage whatsoever arising from loss of data or profits arising out of, or in connection with, the use of this website.